With a bold architecture that yields to the warmness and nature of its implied name, Casa de La Flora is crafted into a space as striking as it is humble. 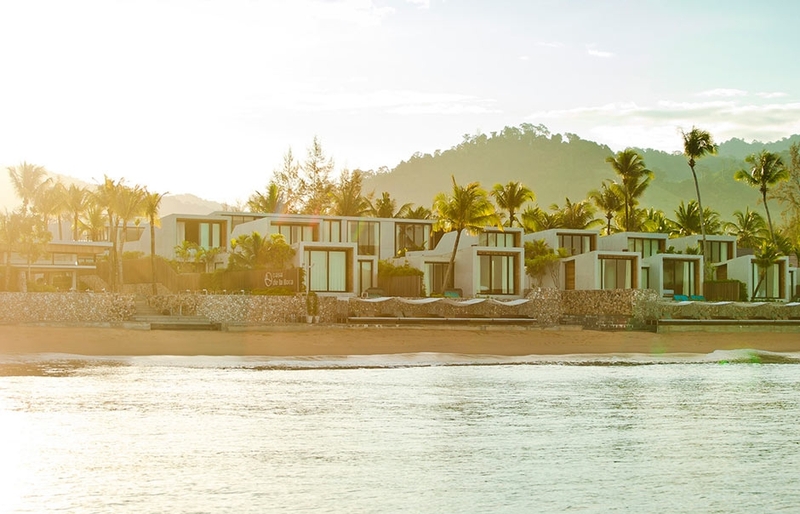 The cube-shaped villas of the hotel bring a modern edge to the Thailand’s Phangnga province. Described as “an ode to the angular geometries of brutalist architecture” initiated by Le Corbusier, this hideaway has a strong minimalist style harmoniously incorporated in the natural surroundings. The architects—studio VaSLab—achieved this balance by designing each villa as a monolithic square-edged frame structure with glass facades looking outward to the sea. Most villas are buttressed by topiary, shaped by landscape designers T.R.O.P, while all feature a private pool and secluded patios or balconies. Natural materials such as teakwood temper the minimalist interiors, augmented by monochromatic schemes and lighting by APLD. In the bathrooms, beige Italian quartz sets the stage for ample bathtubs offering an alternative to outdoor rains showers. 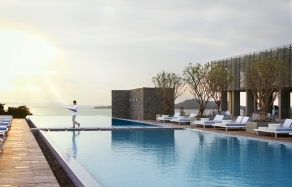 A central swimming pool and bar area overlooks the beach, whilst the La Arunya restaurant located further along the sands, specialises in fine Thai and fusion cuisine created from organic produce. 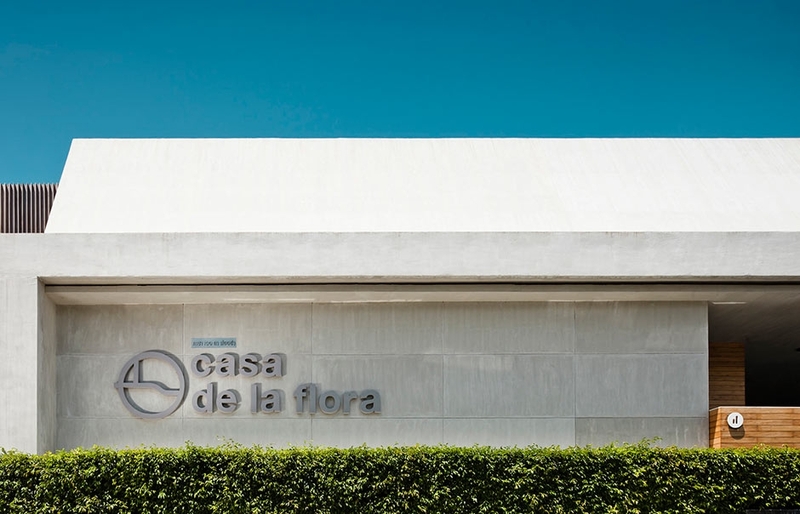 The Casa de la flora is a member of Design Hotels™. Overlooking the Andaman Sea and stretching along the soft sands of Khao Lak, Casa de la Flora is small enough to feel intimate yet large enough to have a real sense of privacy. 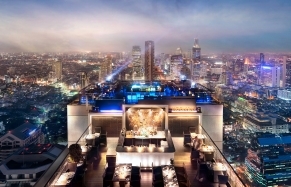 Its cutting-edge design and architecture makes it stand out amongst other resorts in Thailand. If you do want to explore, you can get a bicycle from the hotel reception. The resort is not an ideal place for children.